In brief: Vinnicius Martins from Team JP Australia has taken out the Key West Classic for the second time in 12 months, outlasting Olympic veteran Larry Cain after nearly two hours of paddling around the windswept 12-mile course. 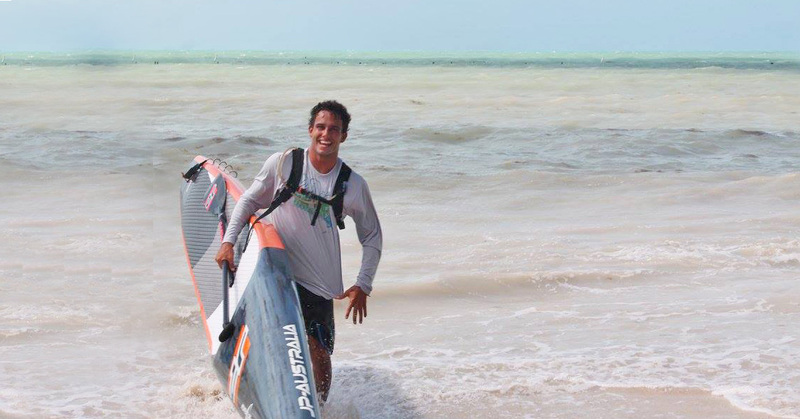 With the Florida Keys producing its signature bumpy conditions for the 20th annual edition of this classic race, the ever-smiling Brazilian showed that his top six finish at Carolina last week was no fluke, with Vinni pulling away from the field to not only take out the SUP division but also beat home every one of the outrigger paddlers. In the women’s race, endurance specialist Seychelle Hattingh jumped on a 14 footer in preparation for her tilt at a EuroTour title starting later this month (where, unlike the bizarre situation in the States, both men and women paddle the same length boards). Despite having an advantage over the 12’6 women, Seychelle was clearly the strongest lady on the course. The world number eight not only took line honours in the women’s race but also finished an incredible 5th in the men’s field. Fellow Floridian Kim Barnes had the quickest of the 12’6 boards and wasa runner-up overall. Here are the top finishers; full results available over on Paddle Guru. Follow the Key West Paddle Classic on Facebook for more pics and insights.